I can’t find words to describe this movie. Sublime? Magnificent? Classic, for sure. 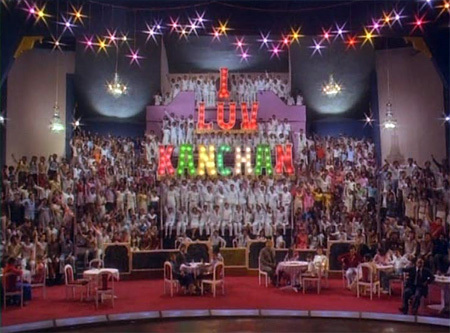 Fantastic romantic story; excellent debuts by “Filmalaya discoveries” Asha Parekh and music director Usha Khanna; and of course, my favorite actor of all time, Shammi Kapoor. 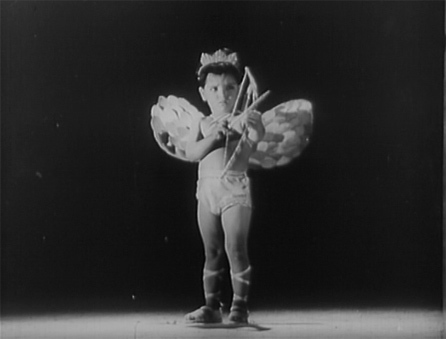 I ask you, how can you not like a film whose credits begin with a little boy in his chaddis and a pair of wings and gladiator sandals taking aim at your heart? 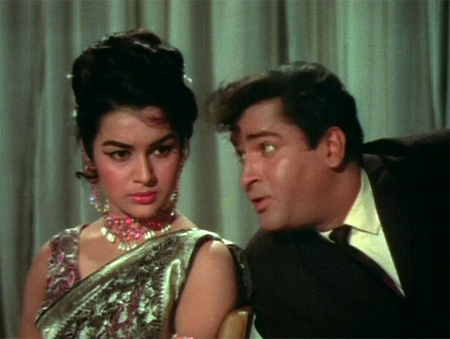 It’s also directed and written by Nasir Husain, who gave Shammi his first big hit with Tumsa Nahin Dekha. I’ve said it before: Nasir Husain=great entertainment. It was such fun to watch it again! 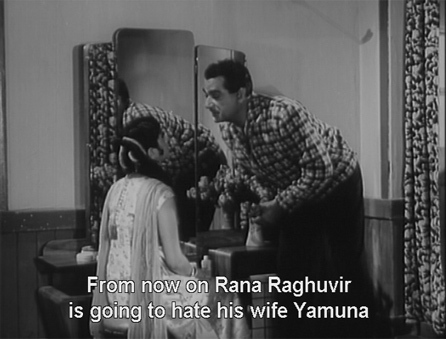 Not to mention that I ended up on the floor as a Shammi-induced puddle. When I see Nasir Husain’s name on a film, I am pretty sure I will be entertained. When I see Rishi Kapoor blowing on a trumpet on a DVD cover, I am pretty sure I will be entertained. When I see go-go boots that I covet within the first 5 minutes of a movie, I am pretty sure I will be entertained. And so it was that I was entertained by Hum Kisise Kum Naheen.